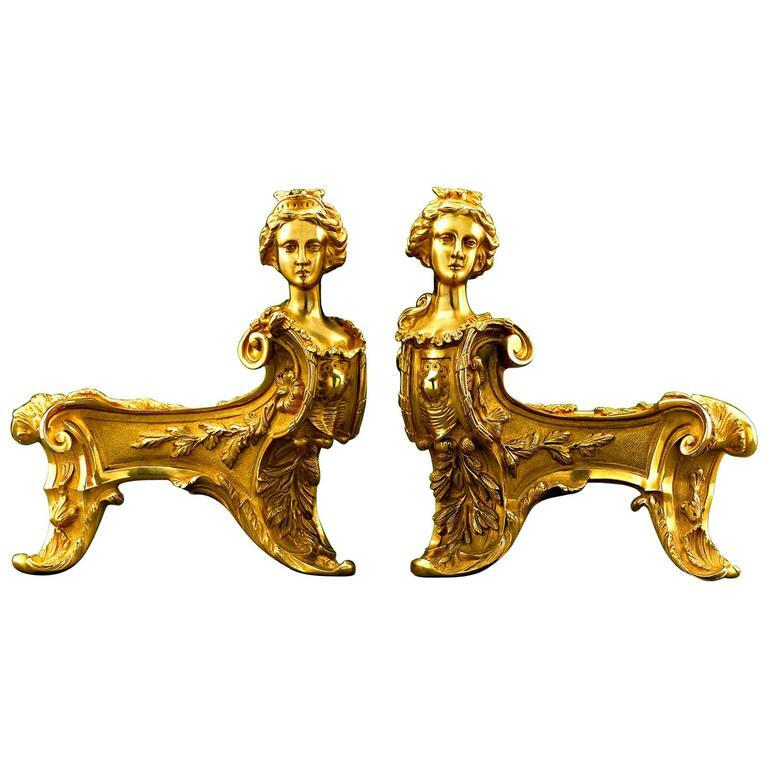 This rare and ornate pair of bronze ormolu chenets, or andirons, takes the form of two majestic sphinxes. 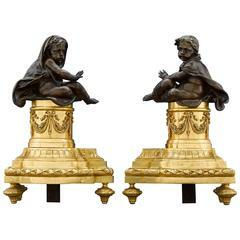 Crafted in a thrilling Louis XIV style, these bronze ormolu fireplace guards also exhibit Classic Rococo decoration, such as flowering branches, shells, and exuberant scrollwork. 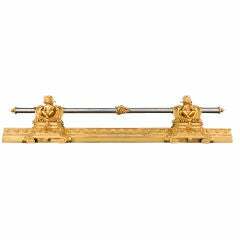 Chenets, or andirons, were a staple of any well-appointed home, serving as both decorative and useful objects. They were placed in front of a fireplace to protect priceless rugs and flooring from rolling logs. 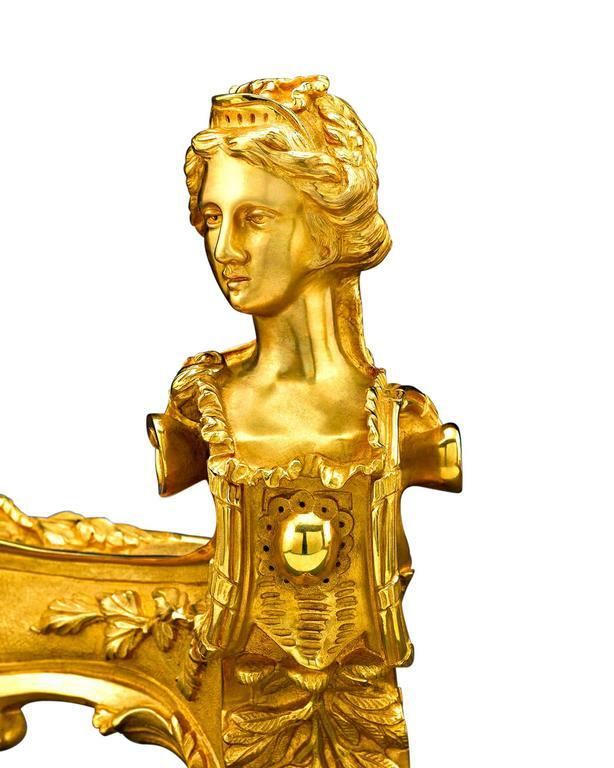 Only the grandest homes would have had chenets as beautifully designed as these. 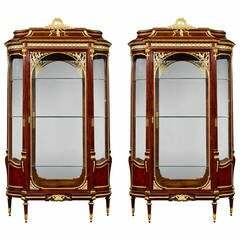 Intricately detailed and in excellent condition, these elegant chenets are a truly rare find, circa 1880 Measure: 10 1/2-12” wide x 18 1/2” deep x 13 3/4-14” high. 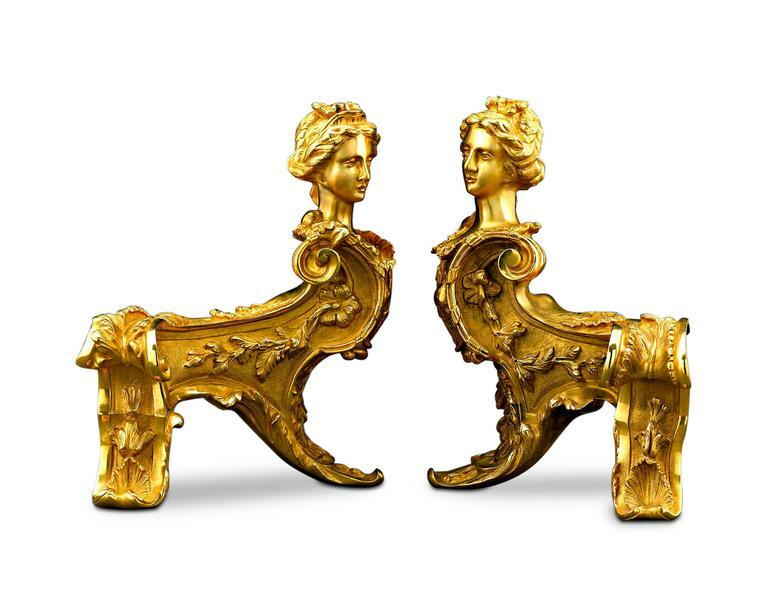 Pair of French 19th century Rococo style chenets. 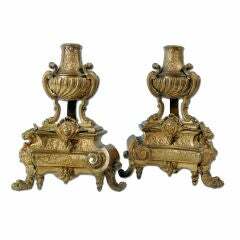 Brass andirons with polished nickel finish. 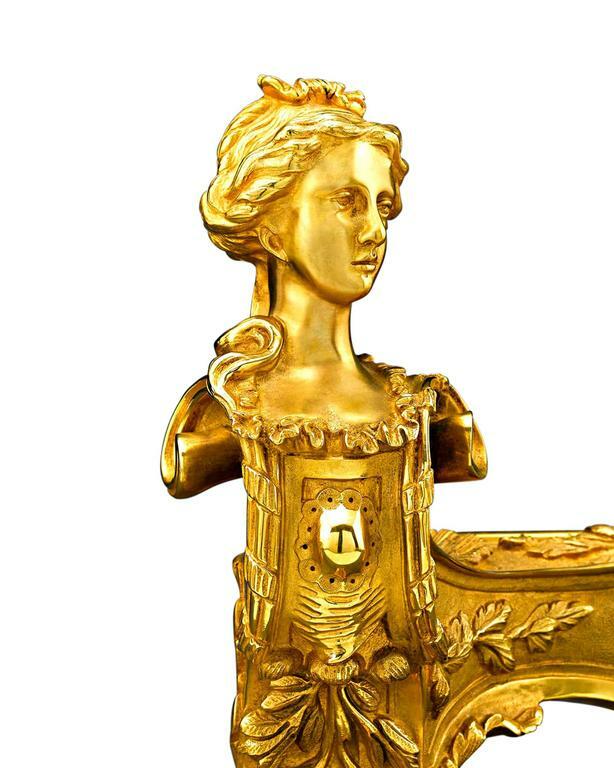 Imported from France by William Jackson of New York. 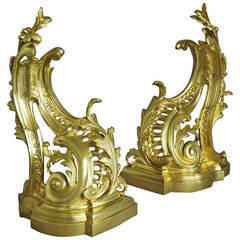 Pair of fine antique French cast brass Rococo style chenet or andirons.